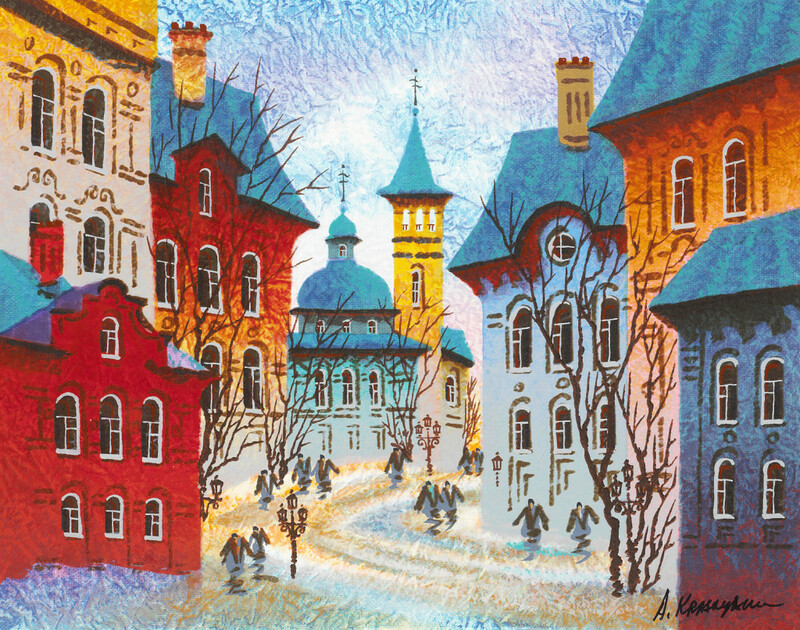 Learn the story of how Ukrainian artist Anatole Krasnyansky overcame oppression and became an artist whose art is collected around the world. The Park West Foundation, established by Park West Gallery CEO and founder Albert Scaglione and his wife, Mitsie, is celebrating the work of Krasnyansky at the Museum of Tolerance in Los Angeles. 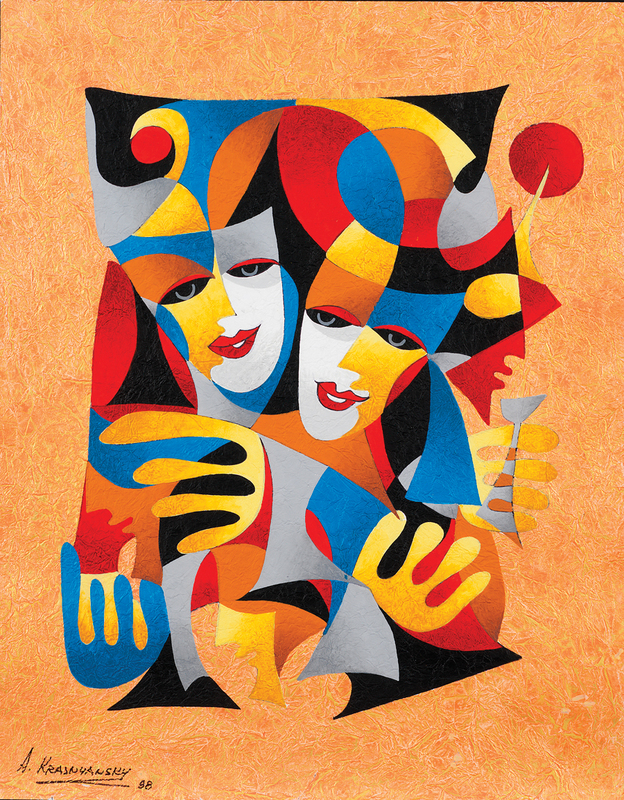 The museum proudly presents “The Life and Work of Anatole Krasnyansky” from Oct. 30 to Nov. 6. The museum is located at 9786 West Pico Boulevard. The museum will hold a reception and viewing of the exhibition at 3 p.m. on Nov. 6. At 4 p.m., Krasnyansky will speak about his life and career during an event moderated by Tommy Hawkins, famed NBA star, broadcaster and author. Both Hawkins and Krasnyansky dealt with oppression in their respective careers but beat the odds. Born in 1930, Krasnyansky experienced the horrors of World War II when he and his family fled from his native Kiev to Uzbekistan as refugees. Anatole Krasnyansky in his home in California. Krasnyansky became an architect and watercolorist, but faced anti-Semitism during his career. Seeking a better life for himself and his family, he left the former Soviet Union in 1975 with his family to live in the United States. He settled in Los Angeles, where his artistic background led him to working as a set designer for major television and movie studios. Krasnyansky never gave up his love of painting, and has been a professional artist for the past 30 years. The artist has developed two different styles during his career. One depicts the traditional European cityscapes he grew up creating, while the other focuses on surreal figural compositions. In each style, one can detect the artist’s Eastern European heritage. “I try to send a message to the viewer: People, let us never forget our past. Never forget where we came from,” Krasnyansky says. 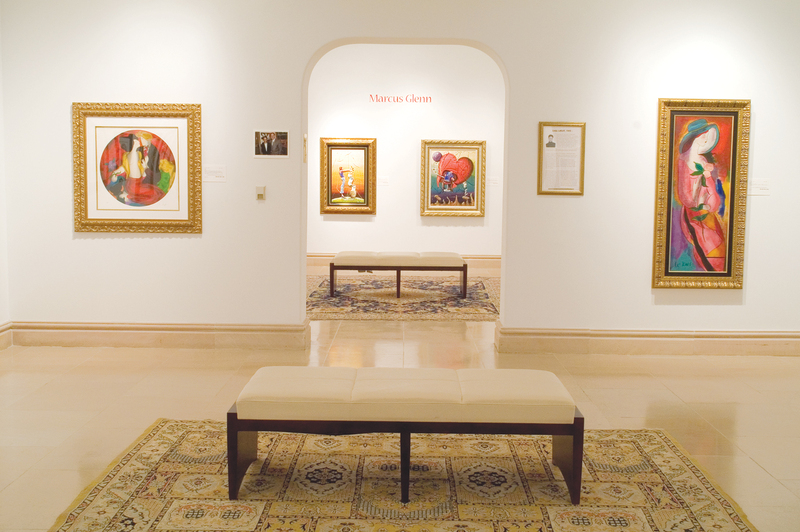 The Park West Foundation supports museum exhibitions in its mission to promote arts education and awareness. The foundation also supported Yaacov Agam in “The Magic of Yaacov Agam” at the Museum of Geometric and MADI Art from January 28 to April 21, Autumn de Forest in “Autumn de Forest: The Tradition Continues” at the Butler Institute of American Art from April 10 to October 16, and Peter Max in “Peter Max: 50 Years of Cosmic Dreaming” at the Tampa Museum of Art. The Museum of Tolerance is a human rights laboratory and educational center. The center is dedicated to challenging visitors to confront racism and bigotry understanding the Holocaust in both historic and contemporary contexts. The museum is the recipient of the Global Peace and Tolerance Award from the Friends of the United Nations. Founded in 1969 by Albert Scaglione, Park West Gallery has brought fine artworks to more than 2 million clients around the world through its gallery locations in Detroit, Michigan and Florida as well as cruise ship art auctions and in major metropolitan areas. Park West Gallery’s mission is to create an educational, entertaining, and welcoming environment that ignites a passion for the arts and creates a collecting experience like no other company in the world.